A 61-year-old bicyclist was hit and killed on Hillsborough Avenue and Harney Road Sunday afternoon. Troopers said the bicyclist was traveling eastbound in the westbound bike lane of Hillsborough Ave. when a Dodge traveling westbound changed lanes and collided with the bike. The biker was ejected and suffered fatal injuries. He was transported to Tampa General Hospital where he later died. Bicyclists have little more than a helmet for a protection, so they are no match for a car. Sadly, bicyclists frequently do not survive collisions with cars and trucks. When bicycle accidents are the result of negligence, members of the victim’s family have the right to seek justice for their loved one through financial compensation for their loss. While there is certainly no amount of money that can replace what has been lost, our Tampa Bay Wrongful Death Attorneys at Whittel & Melton firmly believe that taking action is important. Not only does it allow the victim’s family to recover for the financial losses they have suffered, it may prevent the responsible party from harming anyone else in the future. We fight aggressively in these cases to ensure that justice is served. According to new reports, the Florida Department of Transportation is holding a public workshop to discuss a new bikeway through downtown Tampa. The proposed bike lanes would be on the north side of Jackson Street, running from Ashley Drive to Nebraska Avenue. The addition would look a lot like the new lanes already on Cass Street. These bike lanes are considered a win win for the area due to the tremendous growth the area has seen. In the early phases, locals will see protected bike lanes on Cass Street, or ‘the green spine,’ complete with bike signals. Bikers should always perform proper maintenance checks before they head out onto the roadways to make sure there brakes are in working order. In addition, they should wear protective gear. Every cyclist should be aware of his or her surroundings at all times. If a cyclist is involved in an accident, our Tampa Bay Injury Lawyers at Whittel & Melton can help. We can identify all negligent parties responsible for the accident. The number of fatal bicycle accidents involving motor vehicles is on the rise, and the state of Florida is just second behind California with the highest number of deaths. According to a report by the Governor’s Highway Safety Association, the number of U.S. bicyclists killed in accidents involving motor vehicles rose by 16 percent between 2010 and 2012. During that same period, California had 338 cyclists killed in collisions with motor vehicles, and Florida had 329. 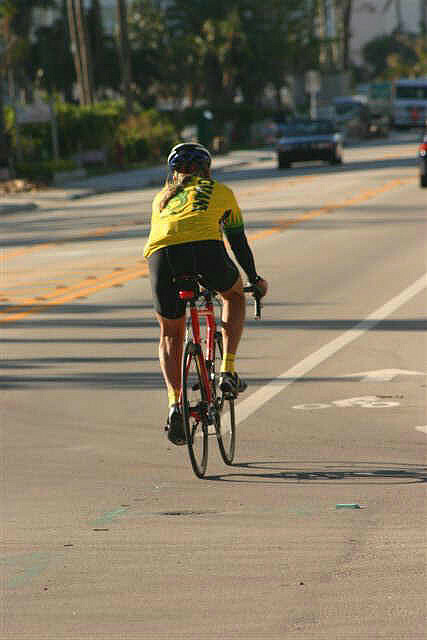 Florida and California also had the largest increases in annual cyclist traffic fatalities from 2010 to 2012. 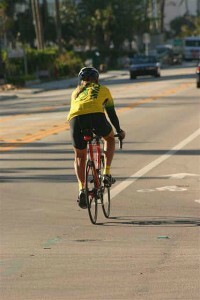 Florida’s deaths rose by 37 to 120 in 2012 and California’s cyclist deaths rose by 23 to 123. 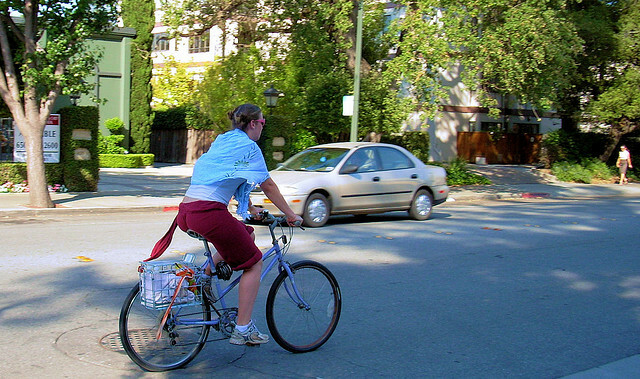 California had the most bicyclists killed of any state in 2012. 722 bicyclists were killed in motor vehicle crashes in 2012 across the nation. This number is up 6 percent from 680 fatalities the previous year. That number is also a 16 percent jump from the 621 bicyclists killed in 2010. More than two-thirds of bikers killed were not wearing helmets. Despite the fact that many states have laws requiring minors to wear helmets while riding bikes, wearing a helmet is generally not a state or federal requirement for adults. More than one-fourth of bicyclists killed in accidents were impaired. According to the report, 28 percent of bicyclists killed in motor vehicle accidents had blood alcohol concentrations over the legal limit of .08. Findings show that nearly 9 in 10 bicycle fatality victims are adult males. In 2012, men made up 88 percent of those killed in bicycle traffic collisions. 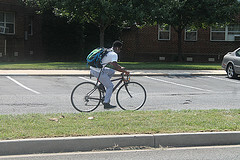 Bike accidents are increasing in urban areas. According to the report, 69 percent percent of fatal bike accidents happened in urban areas in 2012, compared to only 50 percent in 1975. If injured, it is important for Tampa Bay area cyclists to understand their legal rights and seek medical attention immediately. Fortunately for injured bicyclists, the city of Tampa and the surrounding areas, as well the state of Florida, have passed favorable laws that hold negligent, careless and reckless drivers accountable for bicycle accidents. A 20-year-old dancer with the Sarasota Ballet died in a bicycling accident on Wednesday after he collided with a delivery truck, according to reports. The dancer, from Brazil, was transported to Blake Medical Center in Bradenton where he died from his injuries Wednesday evening. The accident occurred in the 5400 block of North Tamiami Trail in Sarasota around 2 p.m. According to Sarasota Police, the delivery truck, driven by a 58-year-old Tampa man, was making a right turn onto a service entrance road leading into the Ringling Museum. Police believe the delivery truck pulled in front of the dancer as he was approaching the road. Reports indicate that the driver may have failed to see the man or the bicycle. The man’s bicycle hit the side of the delivery truck, causing significant injuries. The driver of the delivery truck has been charged with violation of right-of-way to a bicyclist. The accident is currently still under investigation. Bicycle riders suffer an astounding number of serious injuries and fatalities every year in accidents involving motor vehicles. Many of these accidents are the fault of the motor vehicle drivers. In 2012 alone, the National Highway Traffic Safety Administration noted that 49,000 bicyclists were injured in traffic accidents in the United States and another 726 were killed. As many bicyclists are aware, drivers of cars, trucks and SUVs can easily fail to notice cyclists, and many choose to ignore their rights. When motorists do not pay attention to their surroundings, they can make moves that threaten the lives of bicycle riders and others sharing the roadways. Bike riders can suffer severe injuries or even death when motorists fail to check their blind spot before changing lanes, execute right turns directly in front of bikers, sideswipe cyclists travelling on the shoulder, drive under the influence of alcohol or drugs, open car doors in front of them, fail to stop at stop signs or even back out from driveways without looking. Even worse, many motor vehicle drivers do not respect the fact that Florida laws protect bicyclists and award them the same rights to use the streets as motorists. A 24-year-old Maryland man on a cross-country bike trip to raise money for hearing loss was forced to put the last leg of his more than 10,000-mile trek on hold after he was struck by a semi-trailer truck earlier this month. The man was biking with his cousin on a highway from Tropicana Field in St. Petersburg en route to Miami, the final stop on the almost six-month-long journey, when he was clipped by the mirror of a blue freight truck at around 9:40 p.m., according to a Polk County Sheriff spokeswoman. He fell off his bike and landed on the shoulder of the roadway. to communicate since his hearing apparatus was knocked off. He was taken to Florida Hospital Heartland Medical Center in Sebring. He suffered a concussion, a broken nose, a fractured left cheek bone, road rash and bruising from his fall. The man has since been released. The Polk County Sheriff’s Office is investigating the accident. The man was born with normal hearing, but went deaf between the ages of two and 10. He endured cochlear implant surgery and was able to join the hearing world. Last fall, he decided to combine his love for baseball, bike riding and helping others in hopes of raising money and awareness for cochlear implants. The baseball fan set out on a bike trip to Major League Baseball stadiums across the country in April. While the accident set him back a few weeks, he did make it to 30th and final stop on his charity ride Tuesday night to see the Miami Marlins game against the Philadelphia Phillies at Marlins Park. Before the accident, the man raised more than $140,000. While the details regarding this accident are sparse, if the truck driver was aware that he hit the bicyclist, he could face criminal charges for failing to stop and wait for authorities. Additionally, the cyclist could seek financial compensation for the damages he suffered. A 44-year-old Sarasota bicyclist was killed Monday after he was struck by a vehicle on Bee Ridge, authorities said. According to Florida Highway Patrol, the man was pronounced dead at the scene of the accident, which occurred near the intersection of Hidden Glen Drive east of Interstate 75. Based on evidence picked up at the scene of the accident and witness statements, troopers have pieced together that the man was lying in the eastbound lane of Bee Ridge with his bicycle nearby when he was run over by the automobile around 9:30 p.m. The driver of the vehicle that hit the man apparently told troopers he did not notice the man before the collision. It is unknown at this time why the man was lying in the roadway. Biking is a common mode of transportation in the Tampa Bay area, especially with Florida’s year-round warm temperatures. Bicyclists can be found on the roads commuting to and from work, exercising or just partaking in a fun recreational activity. Sadly, many bicyclists find themselves the victims of auto accidents on the busy streets of Tampa, Brandon, St. Petersburg, Clearwater, Bradenton and Sarasota. Bike riders are particularly susceptible to severe injuries when involved in a collision with an automobile. Aside from a helmet, bicyclists lack further protection to withstand the impact of a motor vehicle. Even if a cyclist is wearing a helmet, this may not be able to protect a biker from suffering a serious injury or death.